Producer, Photojournalist and Wildlife Specialist Michael Harris creates some of the most interesting television now coming out of the Pacific Northwest. His specials, films and documentaries have garnered numerous prestigious industry awards, to date 12 Emmy Awards and 46 Emmy nominations in 16 different categories, including Producer, Writer, Editor, Director, Photographer, even as “Outstanding Host,” one of just four nominees across a five-state region, for the KOMO (ABC Seattle) primetime special, GIANTS of the Pacific Northwest. 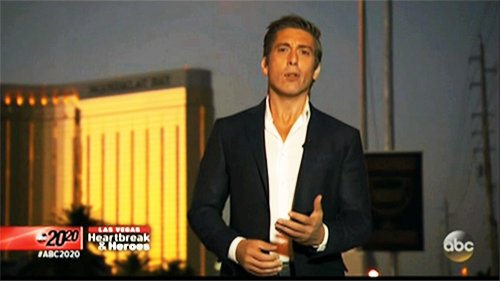 His remarkable work for ABC News has recently earned him a Christopher Award for the 20/20 special, "Wonder Boy," and a News & Documentary Emmy Award for 20/20's "Heartbreak & Heroes," on the 2017 Las Vegas massacre. 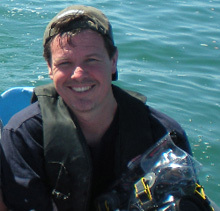 Michael is also one of the most successful conservationists in the region, appearing regularly in the media as a respected authority on marine wildlife issues. Vanessa Lin 凡妮莎林 (Yahoo! Taiwan). Baby Wild Films is proud to create its productions within the storied suites of Seattle's landmark Victory Studios, a full-service post-production company also based in North Hollywood. At its Seattle facilities, the only of its kind in the Pacific Northwest, Victory is a candy store for content producers, maintaining one of the best-stocked equipment rental shops in the region, as well as two state-of-the-industry sound stages downstairs, including "Studio One" with a 61x34-foot cyc wall for about 2,600 square feet of quiet, controlled production space. Also in house is "Victory Live," one of the Northwest's most experienced teams in streaming and capturing live events. Baby Wild Films is never short on the technical and creative camaraderie that is invaluable for any independent producer. It's an easy spot to find in town, a cool place to hang out, and a great base to make television. 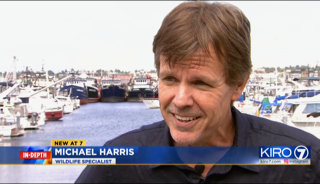 Michael Harris has been producing and shooting content for ABC News since 2002, first as a Producer and on-air "Wildlife Specialist" and then Contributing Producer and Photojournalist. The following selected "Weekend Window" and "Weekend Adventure" segments were sourced, produced and written by Michael. Supervising GMA Producer in New York City was Matthew Frucci. 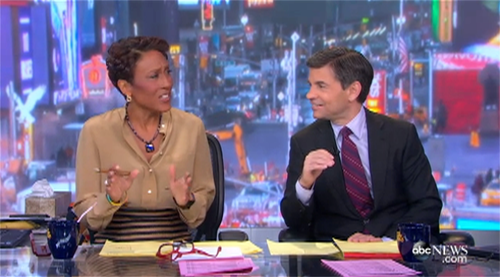 Michael enterprised several corporate promotional relationships to help facilitate these vignettes for Good Morning America. including with Alaska Air, Horizon Air, Hawai'ian Airlines and other hospitality businesses. His work was also seen by millions of shoppers each year in Best Buy and Costco stores, playing on loops on their HD TV section, part of a deal ABC News struck with the major retailers. 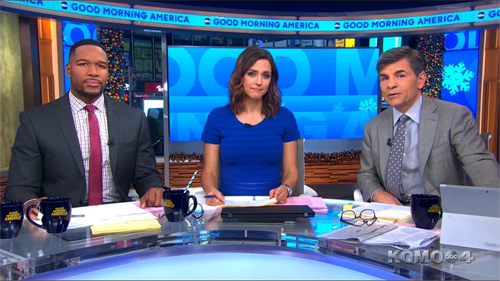 Until the Weekend Edition of GMA went away, these spectacular "Windows" proved to be a popular way to close out the Sunday morning broadcast by opening the world and wildlife to viewers. 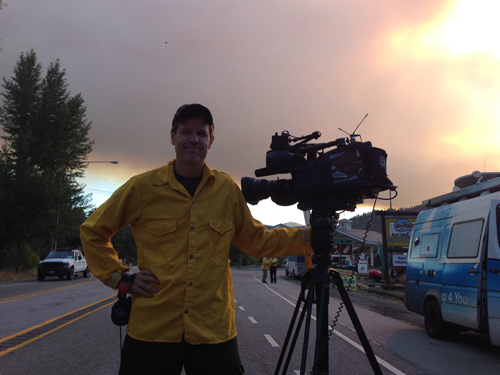 As a General Assignment Producer and Photojournalist for ABC, Michael has established himself as the "first call" for the network on any news coverage in Seattle. After covering breaking/spot news (often as a "shooting producer" or "one-man band") on wildlifes, mudslides, bridge collapses, tornados, train derailments and sadly, 15 mass shootings in just the last four years, Michael is sometimes now referred to by his colleagues as "Disaster Boy," able to gain extraordinary access to a wide range of human and natural disasters and photodocument these unfolding events for the network. 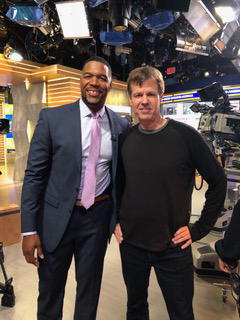 He is also a highly experienced, insightful and remarkably sensitive interviewer, entrusted by ABC with the difficult task of gaining the trust of subjects and booking and conducting exclusive, powerful interviews for Good Morning America, World News Tonight. 20/20 and Nightline. 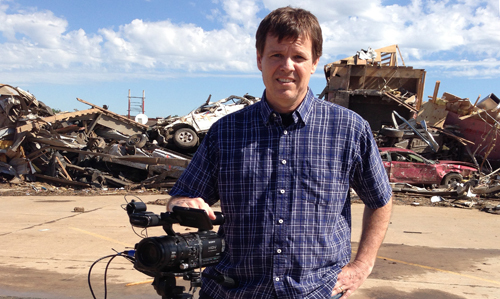 His work not only helps viewers understand what happened, but often why it happened. ABC News Good Morning America "The Great Migration: Alaska's Caribou Head North"
ABC News Good Morning America "The Great Migration: Kaua'i's Winter Whales"
ABC News Good Morning America "Weekend Window to Sitka Sound, Alaska"
ABC News Good Morning America "Weekend Window to Hawai'i's Volcanoes National Park"
ABC News Good Morning America "Weekend Window to Fairbanks/The Northern Lights"
ABC News Good Morning America "Weekend Window to Telegraph Cove"
ABC News Good Morning America "Weekend Window to The San Juan Islands"
ABC News Good Morning America "Weekend Window to Whistler, British Columbia"
ABC News Good Morning America "Weekend Window to Cape Flattery/Makah Nation, Washington"
ABC News Good Morning America "Weekend Window to Prince William Sound, Alaska"
ABC News Good Morning America & Nightline / "Parents of Murdered Student Athlete Speak Out"
ABC World News Tonight & Good Morning America / "Tornado Rips Through Washington Town"
BREAKING NEWS / December 18 - 19, 2018 / Producer/photojournalist Michael Harris helped coordinate team coverage of an extremely rare and terrifying tornado that ripped through a small town near Seattle with no warning, damaging and destroying some 450 structures and snapping huge trees like matchsticks. 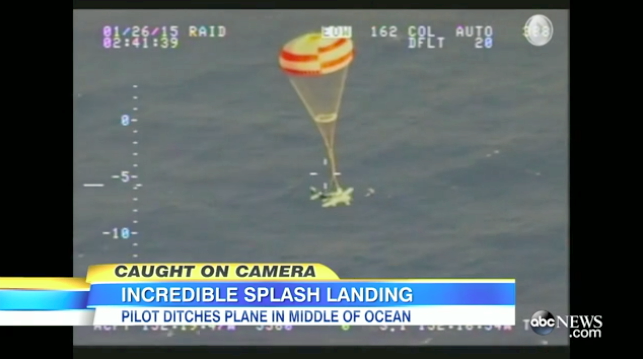 Miraculously, no serious injuries were reported. 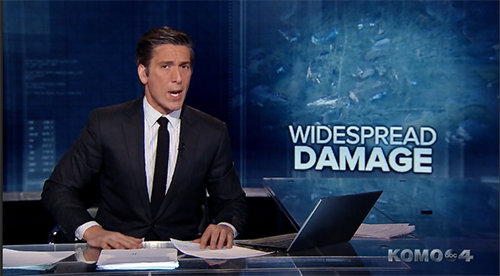 Michael once again joined correspondent Will Carr, along with veteran producer Scott Shulman and photojournalist Rob Weller for this breaking news story which led both ABC World News Tonight and Good Morning America. 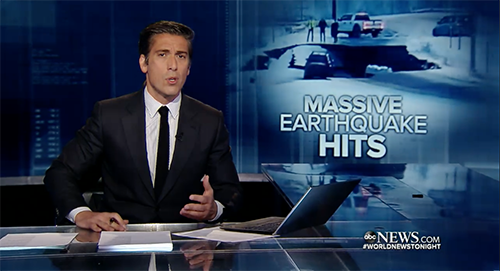 ABC World News Tonight, ABC News Now & Good Morning America / "Earthquake Rocks Alaska"
BREAKING NEWS / November 30 - December 3, 2018 / Producer/photojournalist Michael Harris was rushed to Anchorage, Alaska to help coordinate team coverage of a massive earthquake and a series of major aftershocks that hit the region, collapsing houses and buckling highways. Michael joined correspondent Will Carr, producer Alyssa Pone and photojournalist Rob Weller, battling power outages and extreme winter weather in gathering exclusive images and interviews, often while the ground literally moved beneath them. Despite the force of the quake and the extensive damage, surprisingly there were no serious injuries. 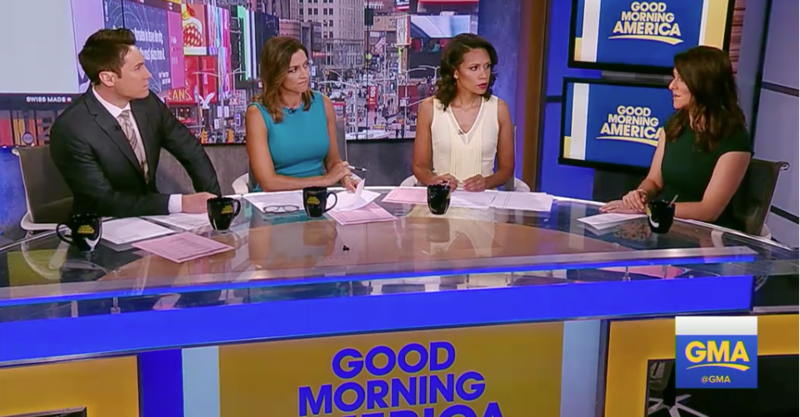 "18-Year-Old Who Pushed Friend Off Bridge Speaks Out, Is Charged"
ABC World News Tonight and Good Morning America / "18yo Who Pushed Friend Off 60-Ft Bridge Speaks Out"
EXCLUSIVE / August 17, 2018 / Producer/photojournalist Michael Harris secured and booked this exclusive interview with 18-year-old Tay'lor Smith, who pushed her best friend off a 60-foot bridge above a popular river jumping spot in southwest Washington state, causing her serious injuries. 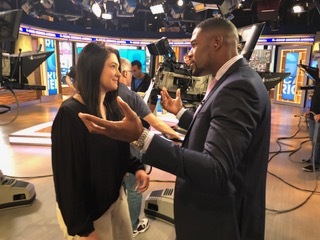 The incident was captured on tape and went viral, making world news and leading to Smith being villfied over social media around the planet, prompting death threats and causing her to go into hiding -- and yet as we would learn in this interview with Good Morning America's Michael Strahan, Smith's friend actually told her she wanted to jump into the water and asked Smith to push her from the bridge. Viewers would soon see that Smith in fact is a thoughtful, caretaking person who never meant to harm her friend, was denied an opportunity to visit her in the hospital, and after first having her apology accepted, soon fell into "radio slience." 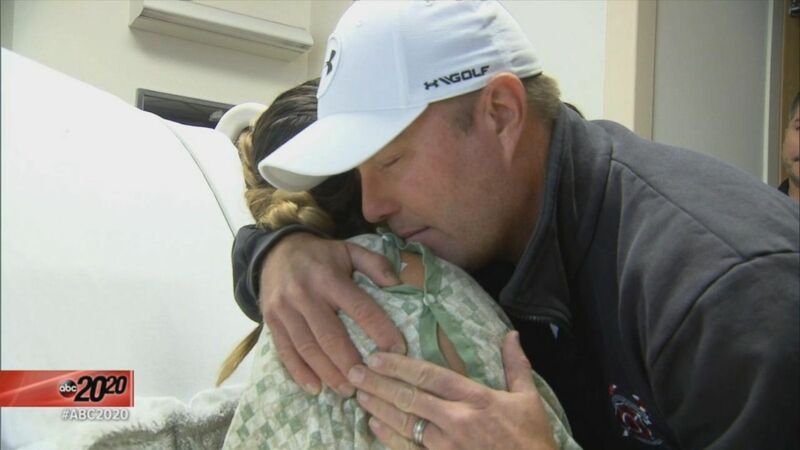 There was far more to this story than the picture painted over social media. 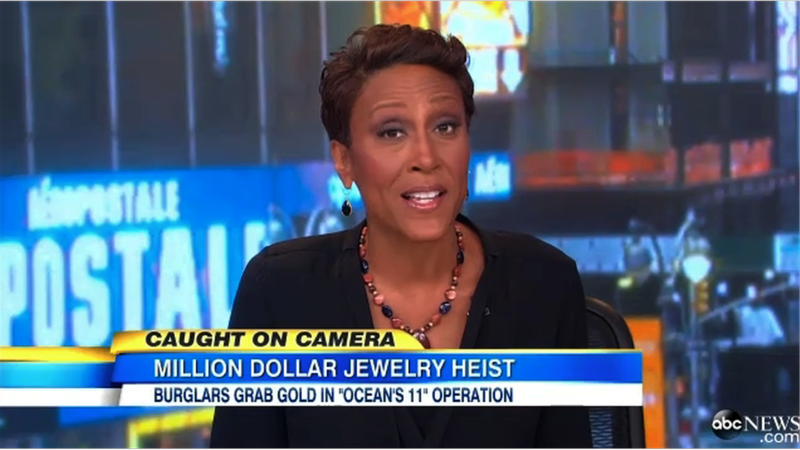 After earning the trust of Smith and her family and securing the interview for ABC News, Michael Harris flew to New York with Smith -- her first time in an airplane -- brought her to the Times Square set of Good Morning America, and helped produce the report for GMA, World News Tonight and ABC.com. 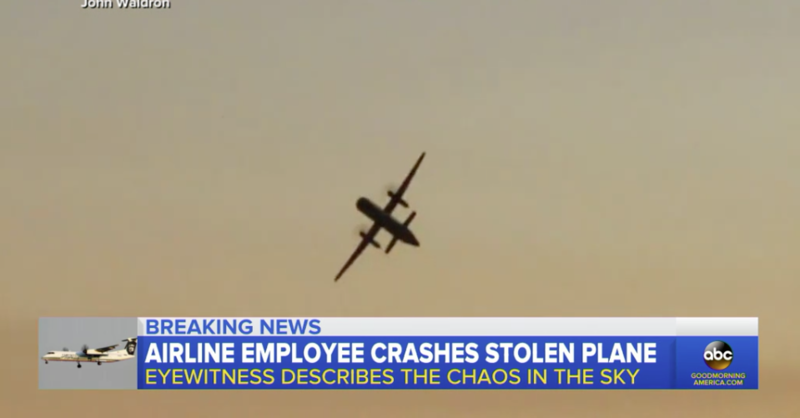 ABC World News Tonight and Good Morning America / "Airline Employee Steals Plane in Seattle"
BREAKING NEWS / August 10 - 12, 2018 / On this extraordinary breaking news assignment, producer/photojournalist Michael Harris helped direct team coverage of airline employee who stole an otherwise empty passenger plane from Seattle-Tacoma International Airport and performed dangerous maneuvers in the sky before crashing on a nearby island about an hour later. 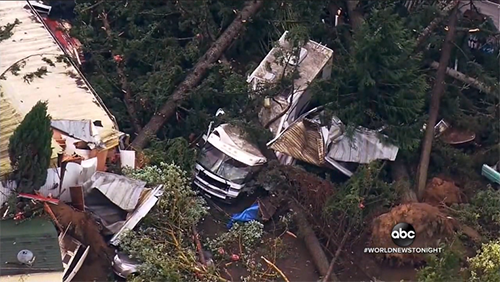 This unprecedented and frightening event created enormous logistic and editorial challenges for the ABC News crew, and remarkable coordination with its Seattle affiliate, KOMO 4 News, and the network's coverage was exceptional. Among other things, Michael was able to secure an exclusive interview with the employee's neighbor and close friend, conducted by correspondent Clayton Sandell. 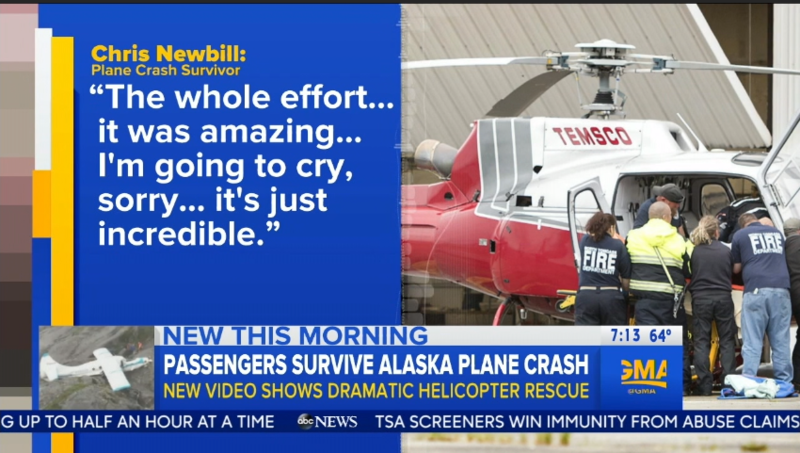 "Alaska Plane Crash Survivor Describes ‘Terrifying’ Experience"
ABC World News Tonight and Good Morning America / "Plane Crash Rescue in Alaska"
ABC News Nightline / "NFL National Anthem Protest"
LONG-FORMAT BREAKING NEWS / May 24, 2018 / On this highly sensitive story for Nightline, Michael Harris was assigned by ABC News at about 1:15pm to produce and conduct an interview with Seattle Seahawks player Doug Baldwin scheduled to begin at 2:15pm, then rush the material across town -- in rush-hour traffic -- to feed to ABC at 4pm, in time for editors in New York to complete an extended feature airing that evening. The interview with Mr. Baldwin was powerful, and the show turned out to be one of the best so far this year. 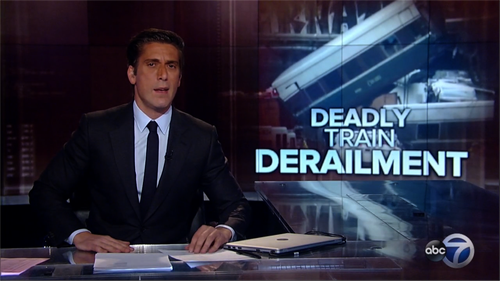 This is why ABC News calls producers like Michael "fixers." 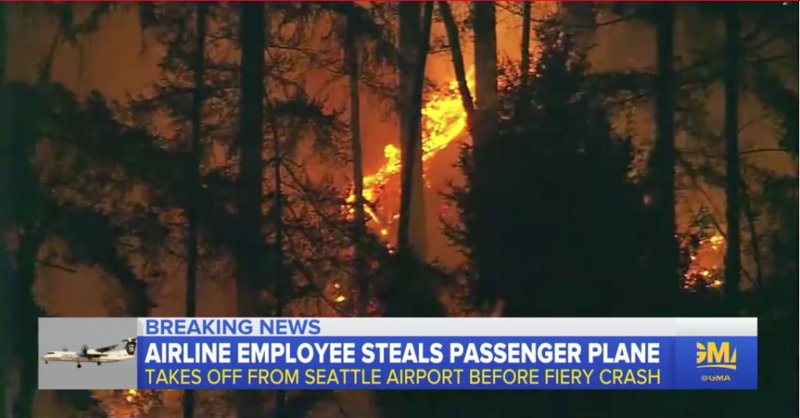 ABC World News Tonight, Good Morning America and All Programs / "Deadly Train Derailment in Washington State"
BREAKING NEWS / December 18-20, 2017 / Producer/photojournalist Michael Harris was assigned by ABC News to work with Denver-based producer Connor Burton and correspondent Clayton Sandell on this horrific train derailment an hour from Michael's hometown Seattle -- an Amtrak route that he's taken with his kids numerous times over the years. Three people would perish in this accident, with several more sent to hospital with critical injuries. 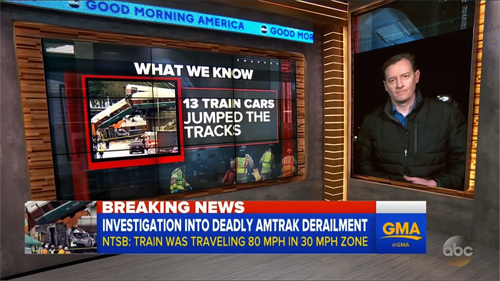 Michael, Connor and Clayton were able to advance the story with elements heard first on ABC, including the true rate of speed of the train at the time of the accident and the fact that it was not employing "Positive Train Control," basically an auto-pilot that controls train speed. 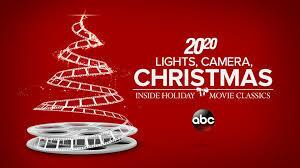 ABC News 20/20 / "Lights, Camera. Christmas! Inside Holiday Movie Classics"
LONG-FORMAT FEATURE / November 22, 2017 / In this special Wednesday evening 20/20 presentation, Peter Billingsley, the star of "A Christmas Story," discusses some of the most memorable and beloved Christmas movies of all time, including interviews with the stars, and behind-the-scenes looks at some of the most memorable moments from the films. 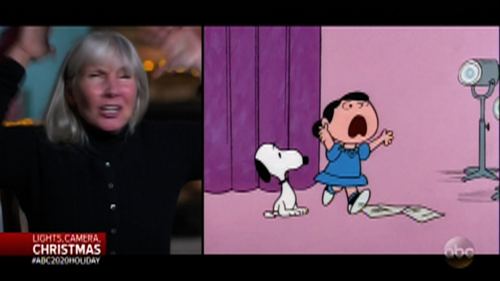 Michael Harris was gifted with the assignment of interviewing Tracy Shaw, the voice of Lucy in the 1965 "A Charlie Brown Christmas," now a 62-year-old librarian at a Washington state high school. During the interview, Michael "role-played" with Tracy as Linus and Charlie, which brought back memories and Lucy lines from a half-century ago and some of the best moments of the special. 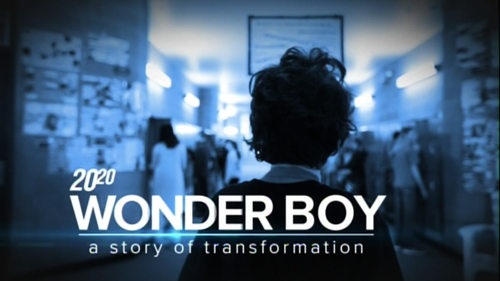 ABC News 20/20 / "Wonder Boy"
LONG-FORMAT NEWS / November 16, 2017 / 2018 Christopher Award-Winner! Producer/Photojournalist Michael Harris worked with New York-based producers Sean Dooley, Jennifer Joseph and Lauren Effron over the course of nearly three years on this special, which follows one family's hopes, hardships, triumphs and multiple surgeries for their now-13-year-old son, born with a rare cranio-facial disorder. Often producing. 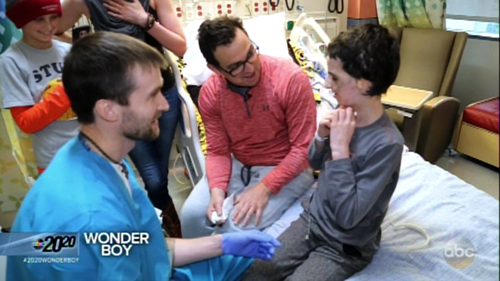 conducting interviews and shooting as a "one-man band," Michael was able to gain the trust of the Newman family and their "Wonder Boy" Nathaniel, capturing some of the most compelling moments in the special. The show closes with host Elizabeth Vargas preesnting the Newmans with a wonderful surprise -- a meeting with Christina Aguilera at her LA home, who sings her song, the family's favorite, "Beautiful." 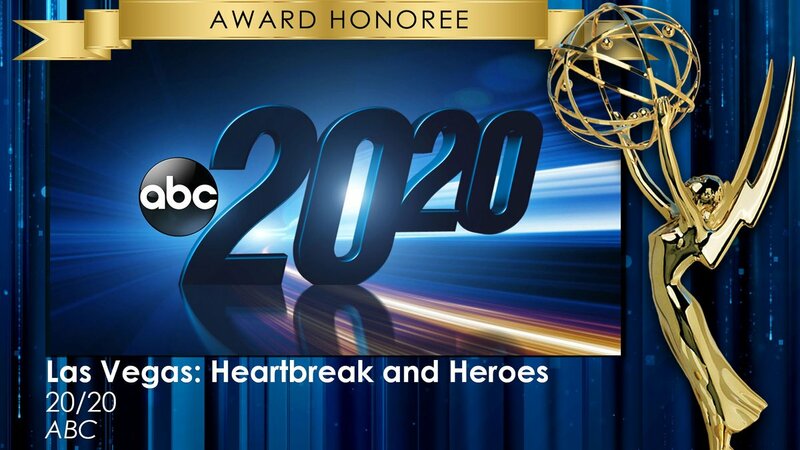 ABC News 20/20 / "Heartbreak & Heroes"
DOCUMENTARY / October 6, 2017 / 2108 News & Documentary Emmy Award-Winner. 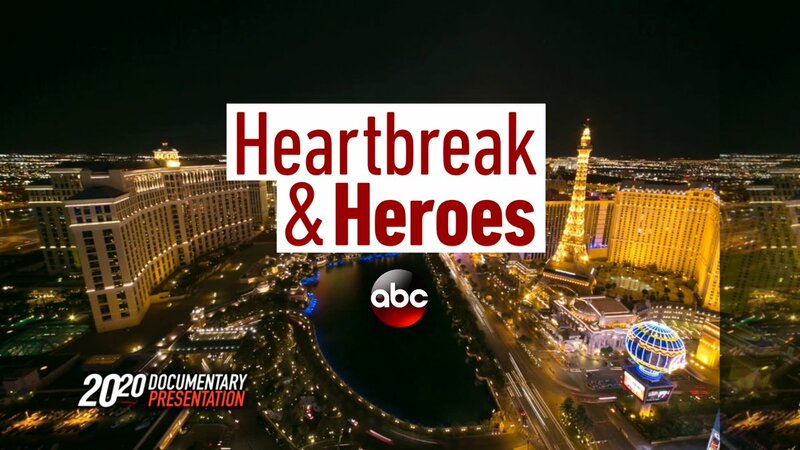 Producer Michael Harris was entrusted with this highly sensitive interview segment with firefighter Dean McAuley, part of the critically acclaimed special edition of ABC News 20/20 called "Heartbreak & Heroes." The powerful special weaves stories like Dean's with others in a minute-by-minute account of how lives converged, were upended and changed forever after a gunman opened fire on the Route 91 country music festival, killing 58 people and injuring more than 500 others in the deadliest shooting in modern American history. The hour features the heroes who helped one another through the horrific tragedy and a moment of crisis that was felt around the world. Victims, eyewitnesses and first responders share their accounts of what happened as the events of that horrific night unfolded. Michael and ABC also sent Dean back to a hospital in Las Vegas, reuniting him with the woman whose life he saved that night. It was the highlight of the special. 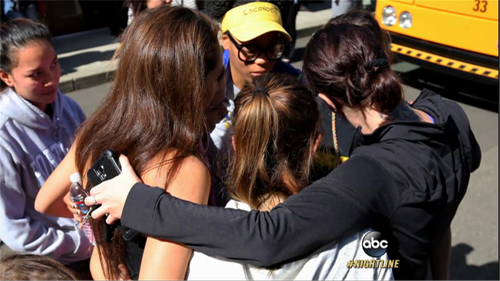 This is the 15th mass shooting Michael has covered for ABC News in the last five years. ABC World News and Good Morning America / "Homeowner Arrested After Fatally Shooting Intruder he Found in his Shower"
BREAKING NEWS / April 3, 2017 / Michael Harris was assigned by ABC News as an editorial producer on its coverage of this regional news story with possibly national implications. 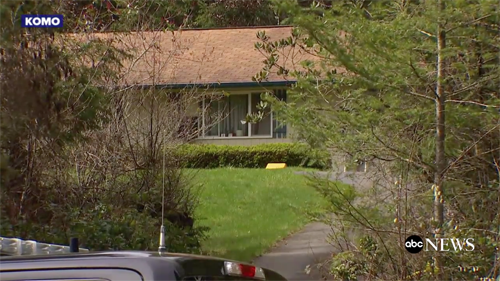 A Washington state homeowner was arrested on murder charges after he fatally shot a man he found taking a shower in his home, according to police. 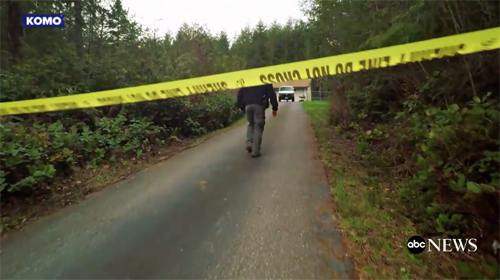 The homeowner shot the intruder multiple times after, he said, he noticed signs of forced entry at his home in Mason County, Washington, the county sheriff's office said Saturday. 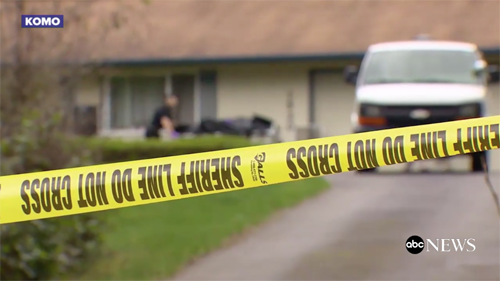 The homeowner was arrested on second-degree murder charges, the office said. BUT WHY DID THIS HAPPEN? Michael would learn that it may have been a tragic mistake that led to the shooting -- the intruder was visiting town to see a friend off to a tour in Afghanistan. The buddies went out drinking, and it appears that he accidentally returned to the wrong home. Why the shooter decided to go get a gun and come back and kill the man with no warming and not calling the police for assistance, we don't know yet. 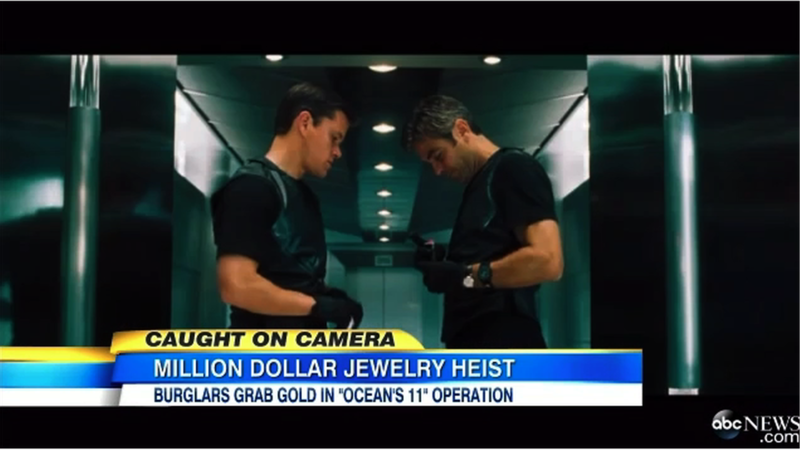 But the sheriff's office announced via Twitter that, "There is more to the story that can not be released yet." 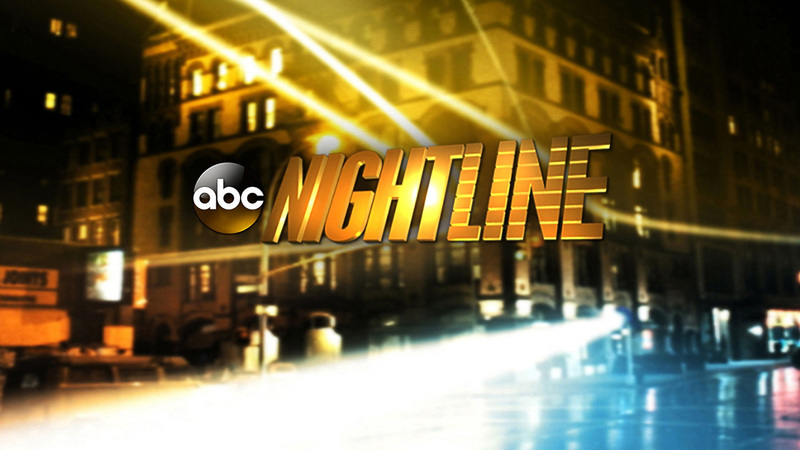 ABC Nightline / "Questions Surround US Election Results Amid Hacking Accusations, Electoral College Vote"
NEWS MAGAZINE / December 16, 2016 / Michael Harris was asked by ABC News Nightline to produce, shoot and conduct interviews for the Washington state content in this long-format news piece. Reports of Russian hackers attempting to influence the recent election prompted some members of the Electoral College rethinking their votes. At least one has been paying a price for it, receiving hate mail and threats. But he says the anger of his fellow Americans will not deter him from putting principle over party. 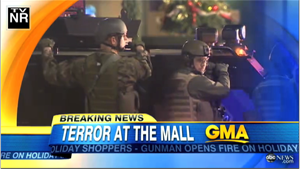 ABC World News and Good Morning America / "Gunman Opens Fire in Mall Rampage"
BREAKING NEWS / September 23 - 26, 2016 / Michael Harris produced the first coverage of this breaking story of yet another mass shooting in America -- this time, five people shot down in shopping mall in Burlington, Washington, an hour away from Michael's home. At the time he arrived at the scene late Friday evening, September 23rd, search helicopters filled the air over the mall looking for the shooter, who was still at large and thought to be in the immediate area. 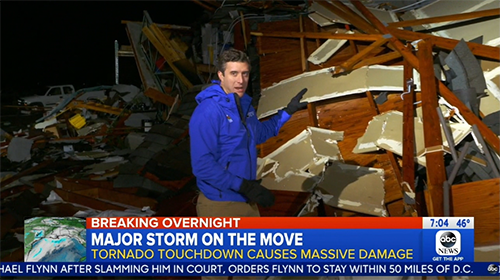 Michael was able to navigate an extraordinarily sensitive and even dangerous situation unfolding in Burlington and work with veteran correspondent Neal Karlinsky and his crew to prepare a live report for Good Morning America by 4:02 am Pacific time. 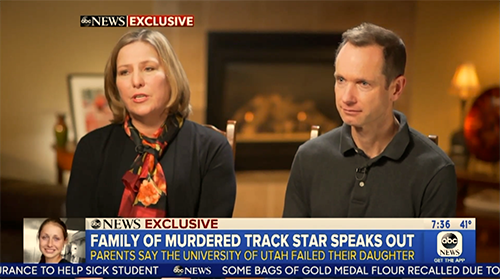 He was even able to drive an hour north to secure and conduct an exclusive interview at 1am with a couple who witnessed the shooting, the husband credited with returning to the murder scene as the shooter was still active to save others. This was the 13th mass shooting Michael has covered for ABC News in the last five years, and the second with the shooter still at large and in the area. 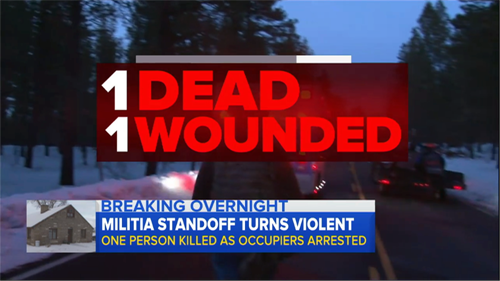 ABC World News and Good Morning America / "Deadly Militia Standoff in Oregon"
BREAKING NEWS / January 6 - February 2016 / Contributing Producer and Video Journalist Michael Harris was part of the ABC News team covering this story of an armed right-wing militia group occupying a federal wildlife refuge in remote eastern Oregon. 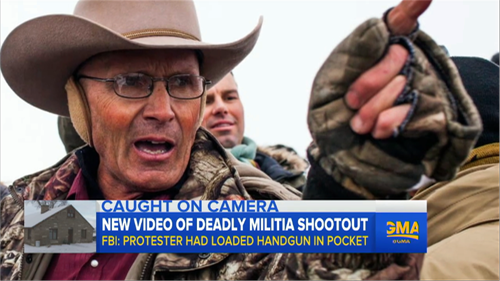 Three weeks in, this relatively peaceful protest in the frozen high dessert would soon turn deadly, with the FBI ambush of the leaders and the shooting death of spokesman LaYoy Finicum. Thereafter, the small town of Burns soon was inundated with open-carry "patriot" groups, additional enforcement agents, and citizens wtih splt opinions on the arguments but united in wanting everyone to go home. Including the media. 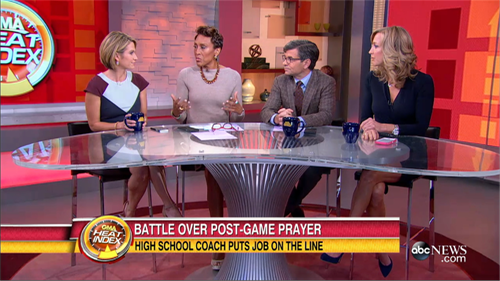 ABC News Good Morning America / "Battle Over Post-Game Prayer"
HOT BUTTON / October 15th, 2015 / This story -- part of Good Morning America's "Hot Button" series -- addresses the interesting Constitutional question of whether or not a footbal coach at a public high school should be allowed to pray with his students after the game, a routine he's been doing for nine years. 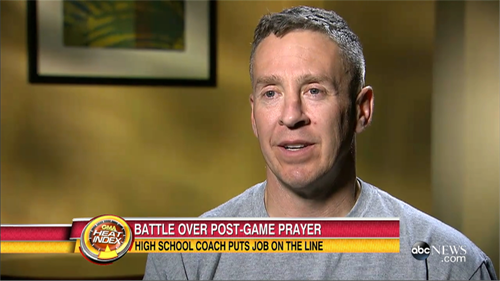 In this interview with Contributing Producer Michael Harris, Joe Kennedy says he can, and he will the evening of this newscast, despite a threat of losing his job. 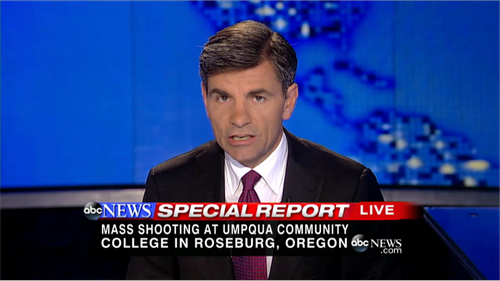 All ABC News Shows / SPECIAL REPORT "Massacre on Oregon Campus"
BREAKING NEWS / October 1st, 2015 / The small town of Roseberg, Oregon falls victim to yet another mass shooting on a U.S. school campus, nine killed this time at a community college. 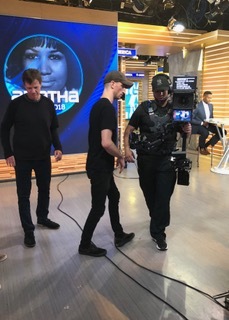 Contributing Producer/Video Journalist Michael Harris worked with veteran ABC News correspondent Neal Karlinsky and producers Sabina Ghebremedhin and Brandon Chase and others in a incomprehensibly difficult situation. 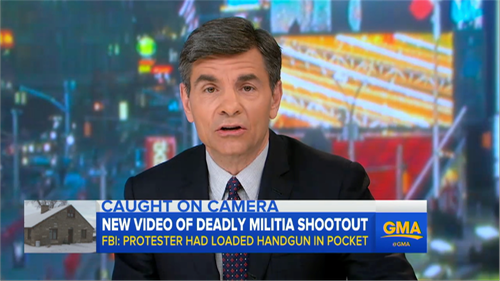 Michael's first task was editorial -- to verify whether it the shooter specifically targeted Christians, a point disputed between witnesses. The rest of the week was focused on talking -- listening -- to eyewitnesses, gaining their trust, advancing a better understanding of whart happened. 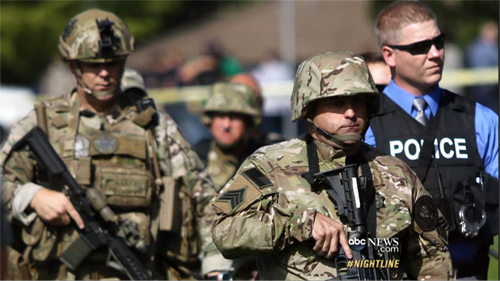 Finding heroes, like the combat vet and now student at Umpqua Community College, who fought back the shooter, keeping him from killing more, takling sven bullets. The scene was beyond words, but we had to find them. 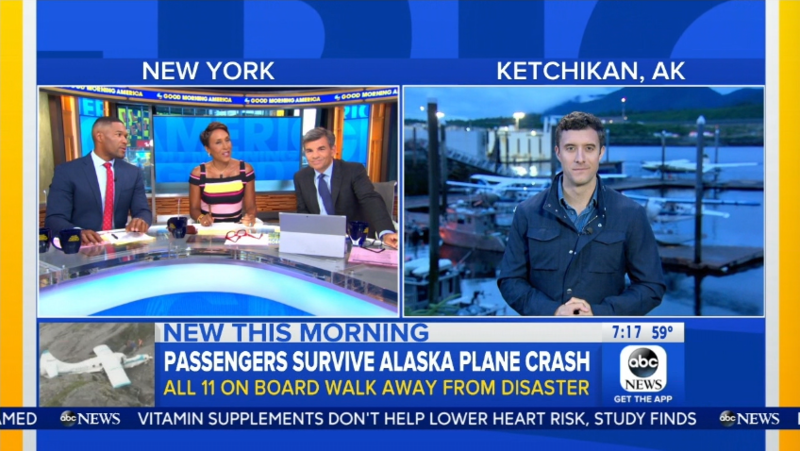 The small team of about 10 from ABC News also had to contend with a chartered plane with some 100 photographers, producers and bookers sent to the scene by competing network NBC News. Others were equally aggressive in putting people on the ground, ceaselessly "door knocking" victims' families, fighting for exclusives. 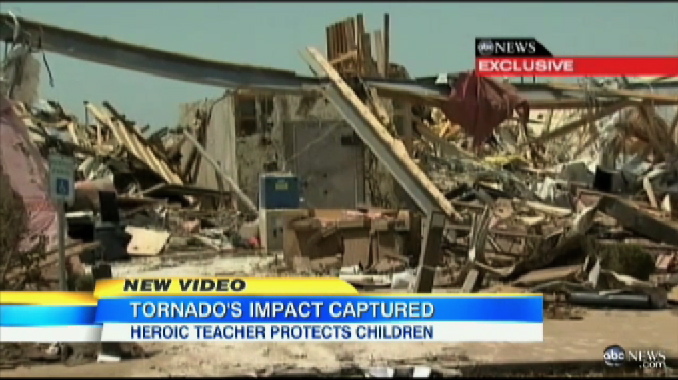 The media madness in this devastated community made this one of the most challenging of any assignment. The deeply religious, largely gun-owning, conservative Roseberg folk also wary of the politicization of the tragedy, brought on, some said, by media coverage. They didn't want journalists there, they didn't even want the President there. But we had to come to Roseberg and do our job, in this case to finally try to make sense of this epidemic of gun violence in this country. But no, safely said. none of us wanted to be there, not for that reason. We've seen enough of these. 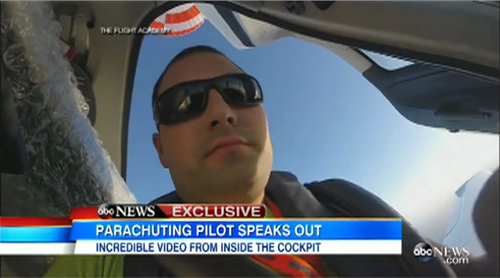 ABC News Good Morning America / "Doomed Plane Parachutes: Pilot Exclusive"
BREAKING NEWS / EXCLUSIVE / January 29, 2015 / In this follow-up to a Good Morning America report about a doomed plane that parachuted to safety into the Pacific, Contributing Producer/Video Journalist Michael Harris helped score a rare "double-exclusive" - an exclusive, highly coveted network interview with the pilot, AND an exclusive to GoPro video that he shot as his airplane descended toward the ocean. 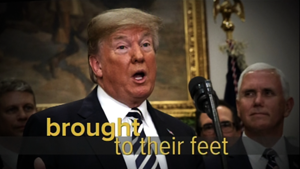 The fascinating piece, co-produced by ABC's Sabina Ghebremedhin and written and reported by correspondent Neal Karlinsky, was seen by some ten million viewers worldwide. 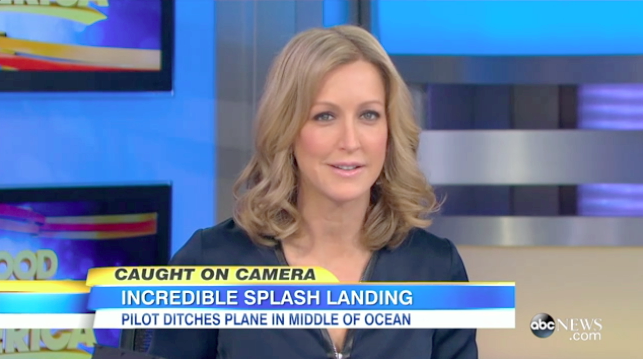 ABC News Good Morning America / "Doomed Plane Parachutes Into Pacific Ocean"
BREAKING NEWS / January 27, 2015 / Contributing Producer/Video Journalist Michael Harris enterprised this amazing story of survival for ABC News Good Morning America, about a 25-year-old pilot who was delivering a new plane across the Pacific when it encountered a fuel system failure. 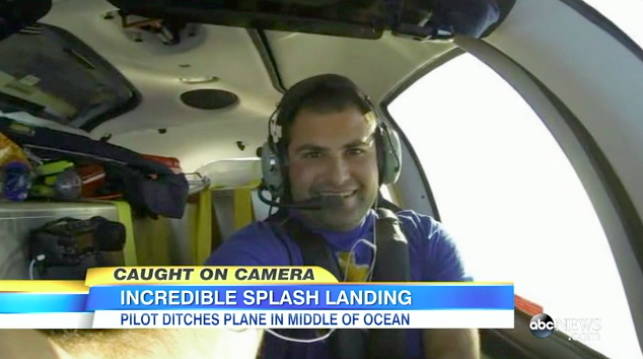 He was forced to ditch the plane in the middle of the ocean. 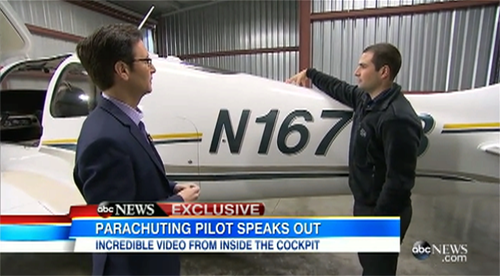 However, this model of Cirrus aircraft is equipped with a powerful parachute on the tail section, which allowed the pilot to float safely into the Pacific -- all of which was captured on video by Coast Guard rescuers. 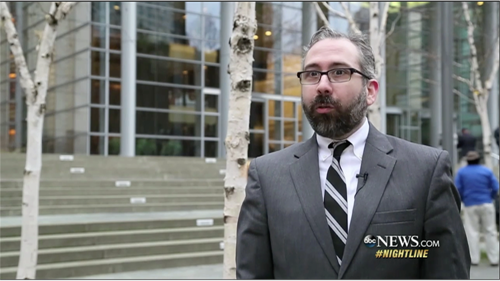 ABC News 20/20 / "Meet the Parents"
LONG-FORMAT NEWSMAGAZINE / January 16, 2015 / For this powerful long-format feature for ABC News "20/20," Contributing Producer/Video Journalist Michael Harris followed a mother and father in Washington State fighting to keep their five-year-old son from being taken away from them because of their marijuana use. 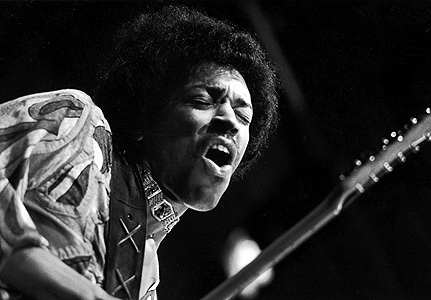 Over the course of almost two months, Michael was the producer on location, the photojournalist, conducted interviews, and recorded sound - a "one-man band." 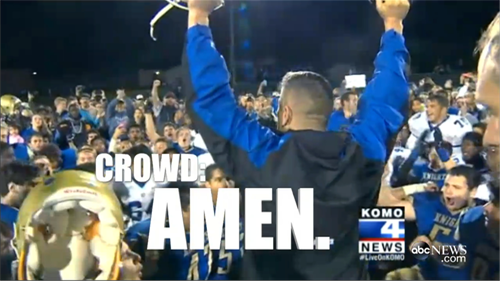 The report drew high ratings and great feedback from the network. The New York producer wrote, "Just want you to know how happy folks here are with this piece. Having you there to follow everything really made it special." 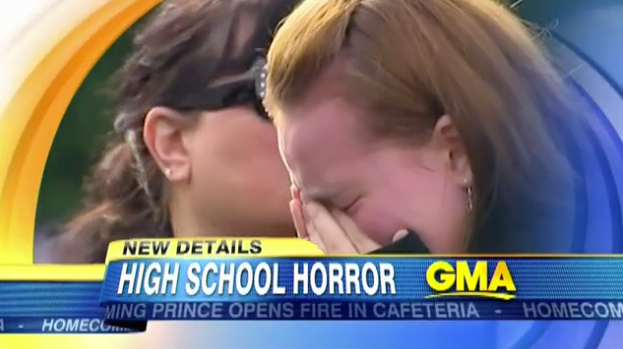 ABC World News and Good Morning America / "High School Shooting in Washington State"
BREAKING NEWS / October 24 - 25, 2014 / For this report and others for ABC World News Tonight and Good Morning America, Producer/Video Journalist Michael Harris was rushed to Marysville, Washington to cover the breaking news of a 15-year-old high school student who opened fire on classmates, killing four and critically injuring another before turning the gun on himself. 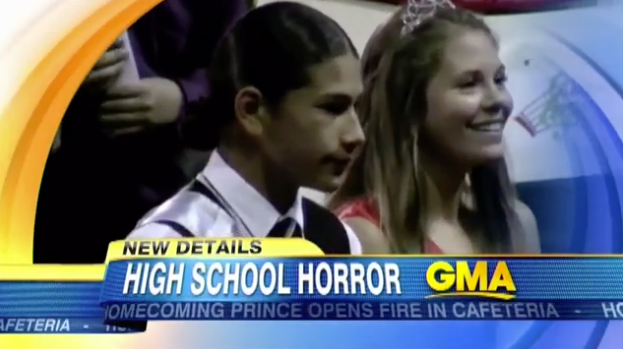 The shooter, a popular football player and "Homecoming Prince," was a member of the local Tulalip Tribes, and actually was cousins and best friends with one of those critically injured, Nate Hatch. Through his relationships in the Native community, Michael was able to secure an exclusive interview with Donald Hatch, grandfather of Nate and relative of the shooter's family. (Nate was released from the hospital on Thursday, November 6th, and posted a Twitter message saying, "I love you and forgive you Jaylen. Rest in peace." 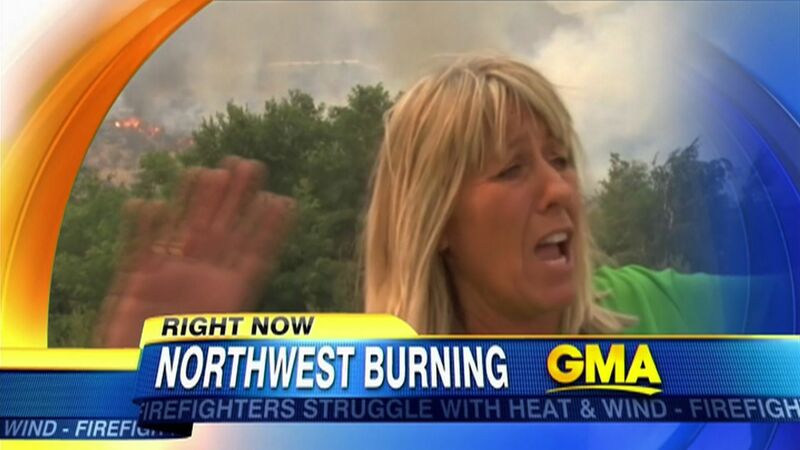 ABC World News and Good Morning America / "'A Cauldron of Hell' - Washington State Ravaged by Biggest Wildfire in Its History"
BREAKING NEWS / July 19-22, 2014 / For this report and others for ABC World News Tonight and Good Morning America, Producer/Video Journalist Michael Harris was one of two photographers assigned to the Carlton Complex Fire, the biggest in Washington State history. 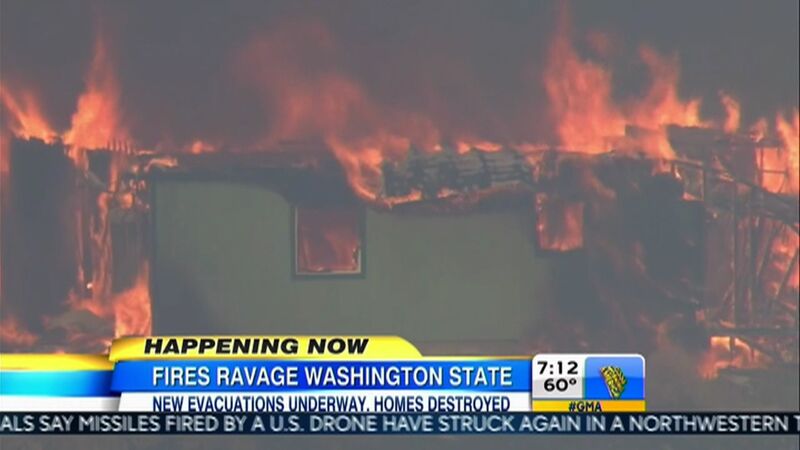 The fire burned over 400 square miles in the north-central part of the State, wiping out at least 300 homes. Michael was one of the first photojournalists on the scene at the small town of Pateros, where the inferno roared over the hill "like a freight train" with little warning and turned much of the town into ashes. 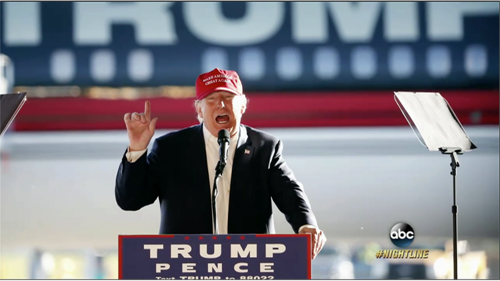 His interviews with residents there appeared prominently on World News Tonight With Diane Sawyer and Good Morning America. 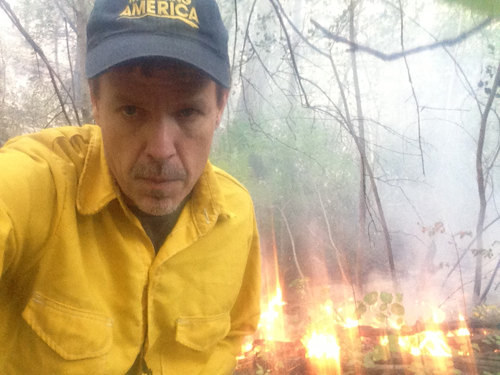 As a "one-man band," with much of the cell phone and internet coverage in the region out due to the fire, Michael was entrusted by ABC News to work independently and gather news in one of the most challenging and dangerous locations imaginable. 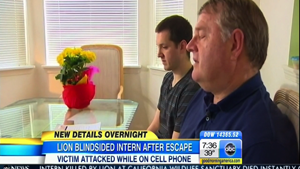 ABC News Good Morning America / "Student's Heroic Actions Stop Seattle Campus Gunman"
BREAKING NEWS / June 6, 2014 / A student building monitor disarms a gunman at Seattle Pacific University, subduing him with pepper spray as he tried to reload, police said, helping to end an attack that left one student dead and three others injured. 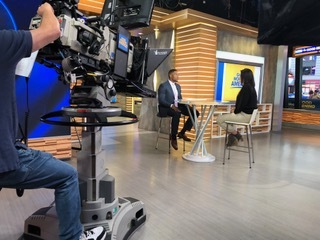 Contributing Producer/Video Journalist Michael Harris worked with Seattle Bureau Chief Brandon Chase, photojournalist Rob Weller and Correspondent Neal Karlinsky on this report for ABC News Good Morning America. 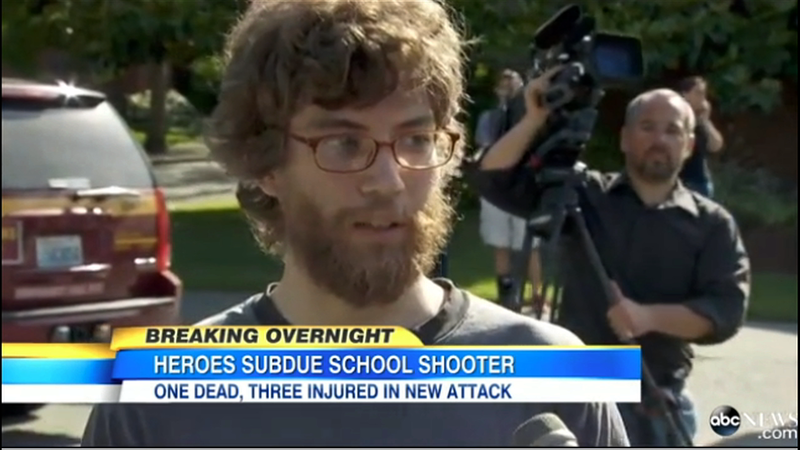 Michael was one of the first journalists on the scene, as the shooting happened less than a mile away from his Seattle office. 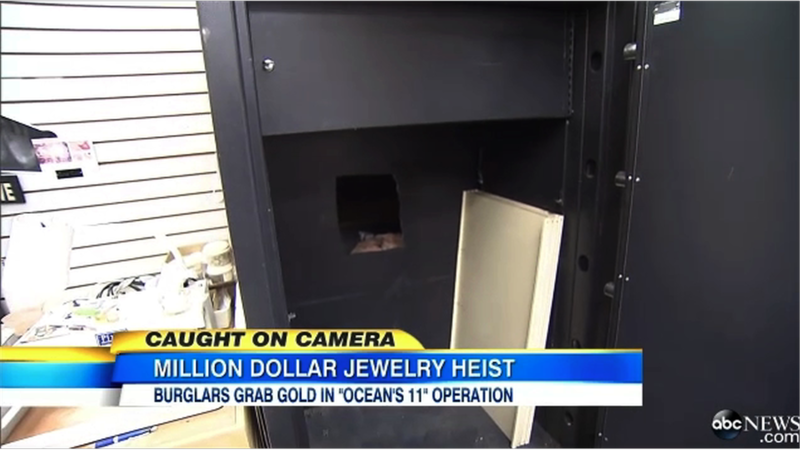 ABC News Good Morning America / "Burglars Pull Off 'Oceans 11' Gold Heist"
BREAKING NEWS / June 5, 2014 / Producer/Video Journalist Michael Harris put together this report for ABC News Good Morning America on a daring "Ocean 11"-style caper in the little town of Puyallup, WA, where burglars made off with over a million dollars in gold jewelry. 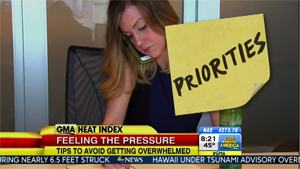 Correspondent Neal Karlinsky reports. 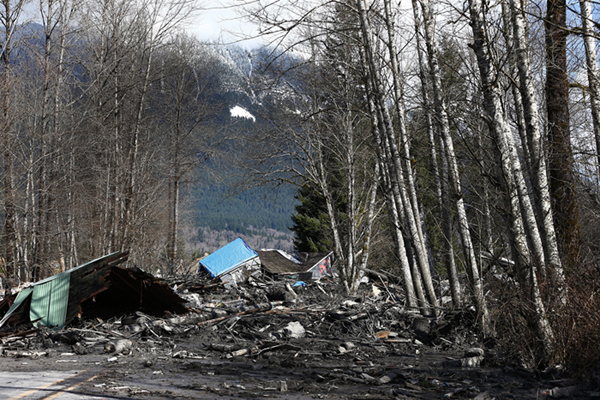 ABC World News and Good Morning America / "Deadly Mudslide in Washington"
BREAKING NEWS / March 23-31, 2014 / For this report and others for ABC World News Tonight and Good Morning America, Producer/Video Journalist Michael Harris managed to secure some of the first interviews with survivors and families struck by the one of the largest and most deadly landslides in American history - literally the side of a mountain collapsing one Saturday morning and burying an entire neighborhood, 25 occupied homes, even cars traveling on an interstate highway, in a matter of seconds. Forty-two people would lose their lives. 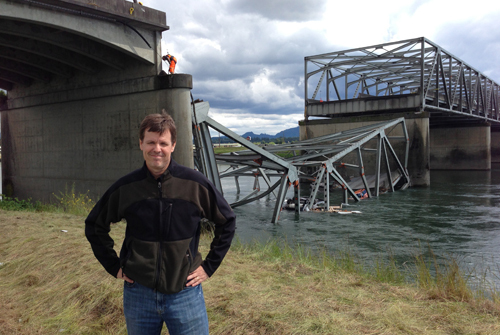 Michael worked with Seattle Bureau producer Brandon Chase and veteran correspondent Neal Karlinsky on this extremely challenging story, tough both from a newsgathering perspective as well as, for some of us, being parents with kids - at least three kids lost their lives in this disaster, many were missing. 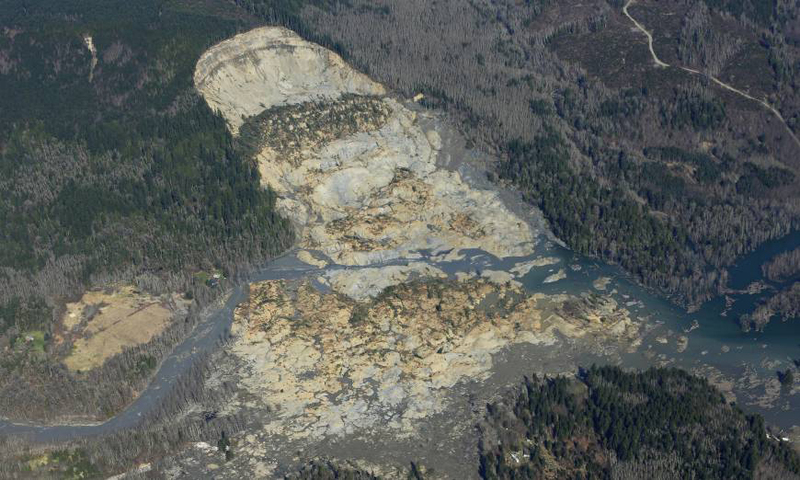 The communities of Darrington, Arlington and Oso were in a state of shock, and local officials and public infomation officers were overwhelmed. As any of us would be. And yet our ABC News team managed to stay on top of the story and get the most accurate information to air, and to be entrusted with the most powerful personal stories. Michael interviewed a man named Reed Miller. Reed said he and his son were having dinner that night. He left to get groceries, saw the emergency vehicles, was told by the clerk that there was a mudslide at Steelhead Drive - where he lived. Reed rushed home, but couldn't make it. State Route 530 was under 30 feet of mud. His neighborhood gone. His house buried, with his son insde. 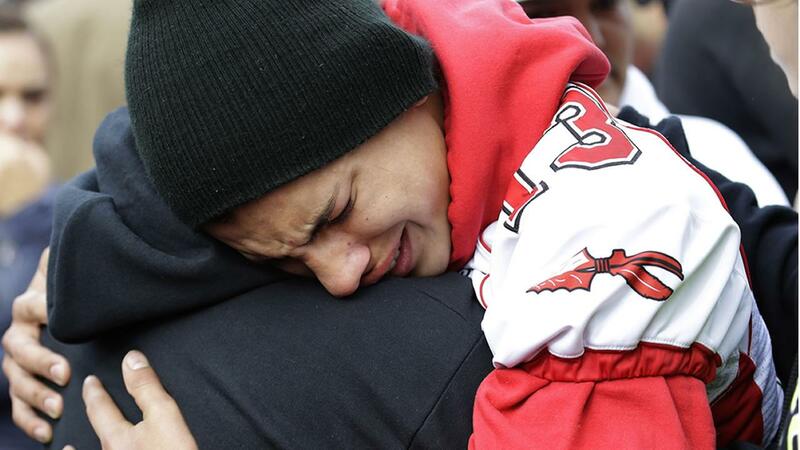 More stories of both heartache and heroism emerged as the frantic and impossible search went on. Michael continued on the mudslide coverage for another week, not just producing but as the only assigned ABC photojournalist on the Darrington side, gathering some of the first pool images from inside the slide area - which is effectively now a graveyard..
ABC World News and Good Morning America / "Overwhelmed"
FEATURE / For this "Heat Index" feature for Good Morning America, Producer/Video Journalist Michael Harris shadowed Maureen Devine Estep, a Seattle advertising executive and mother of two small children as she rushes through her day, from morning breakfast with the kids to daycare dropoff to a "crazy" day at work. How does she stay "on"? What are her tips to avoid getting overwhlemed? 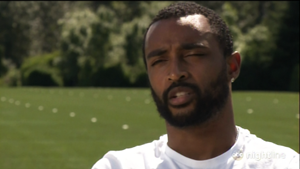 Michael not only produced the piece and conducted the interviews but also shot it for ABC News. 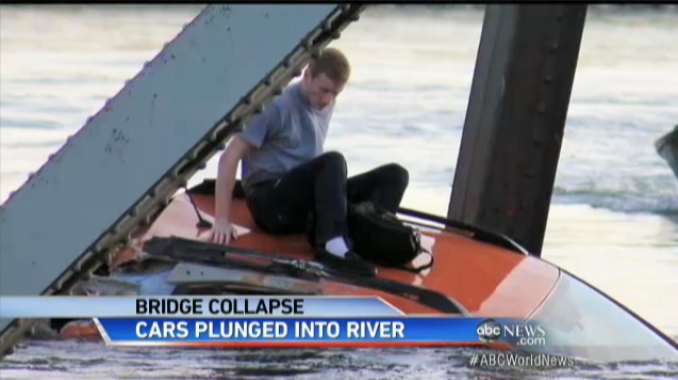 ABC World News and Good Morning America / "Stunning Bridge Collapse in Washington"
EXCLUSIVE / For this report for ABC World News Tonight and Good Morning America, Producer/Video Journalist Michael Harris managed to secure exclusive one-on-one interviews with two of the three survivors of this spectacular bridge collapse on Interstate 5 in Mt. 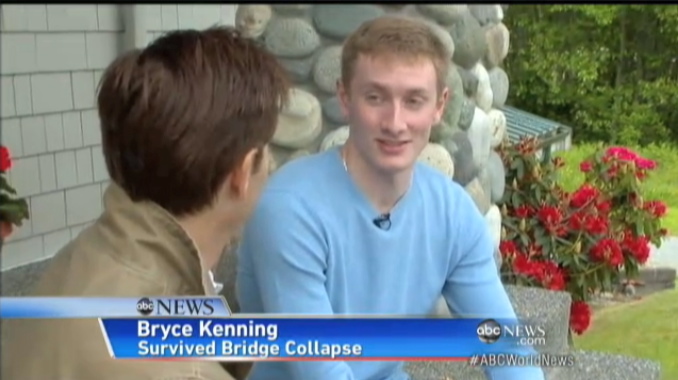 Vernon, Washington -- including 20-year-old Bryce Kennings, who just hours after being released from the hospital recounts to correspondent Neal Karlinsky his extraordinary experience, how "an explosion of dust" happened in front of him, launching his new Suburu some 50 feet into 30-something-degree water and treacherous currents. No other network news got this interview. 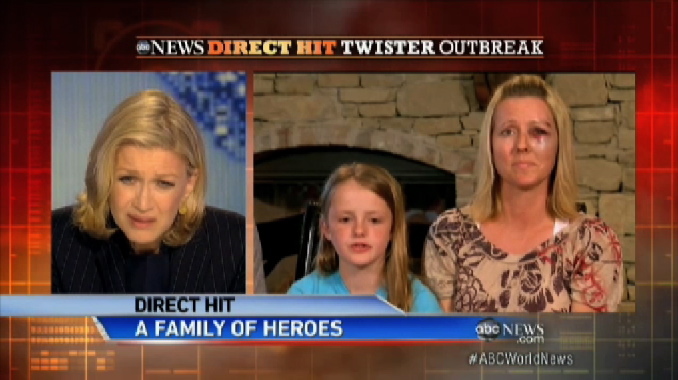 ABC World News With Diane Sawyer / "A Family of Heroes (OK Tornado)"
EXCLUSIVE / For this powerful report for ABC World News Tonight and Good Morning America, Producer/Video Journalist Michael Harris was assigned a very personal task for Diane Sawyer -- she wanted Michael to find and secure an exclusive interview with the family depicted in perhaps the most iconic photograph from the May 20, 2013 tornado in Moore, Oklahoma. 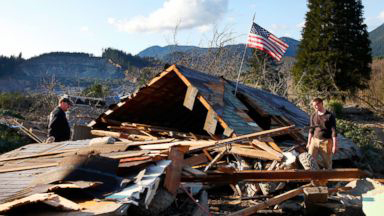 Navigating his way through a disaster area of unimaginable scale, Michael somehow located the Cobb family, earned their trust, and then arranged a live-to-tape, New York-to-Moore interview between the Cobbs and their 9-year-old daughter, Jordan. 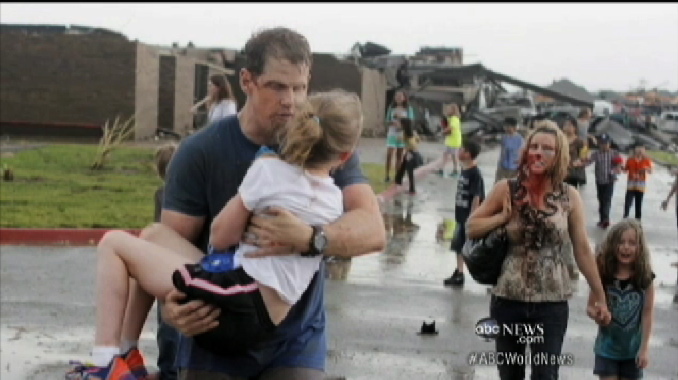 This extraordinary moment was one of the highlights of ABC's team coverage of the disaster. 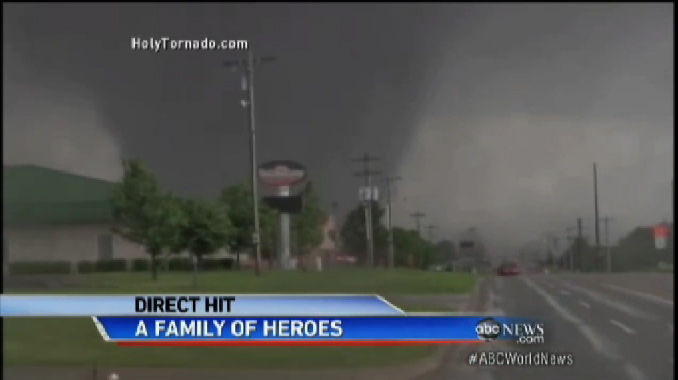 ABC World News and Good Morning America / "Bank Vault Survivor (OK Tornado)"
EXCLUSIVE / As part of the ABC News team on the ground in Moore, OK, Producer/Video Journalist Michael Harris found a newlywed who was making a deposit in her bank as the largest tornado in recorded history bore directly down upon her. 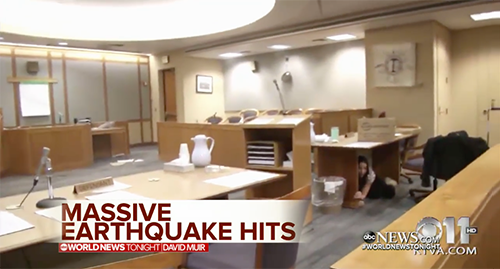 With winds of 210-mph slamming the small bank, 22 employees and customers took refuge in the vault, somehow managing to keep its unhinged door shut as the building collapsed around them. Michael conducted the interview for ABC News. 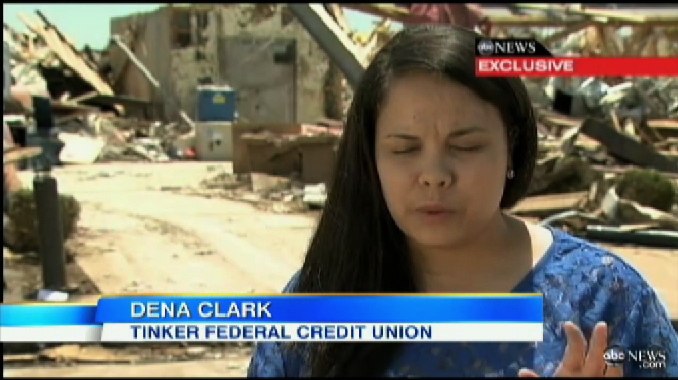 As he took Dena Clarke back to the bank for the first time since she was rescued, Dena finally found her car -- it was crumpled and leaning vertically atop the rubble. ABC News Good Morning America / "Plane Crashes Into House"
EXCLUSIVE / For this report for ABC News Good Morning America, Producer/Video Journalist Michael Harris managed to secure the only news interview that day with an 18 year-old who was in a room just a few feet above the garage where a small plane crashed, killing the pilot and critically injuring the passenger. 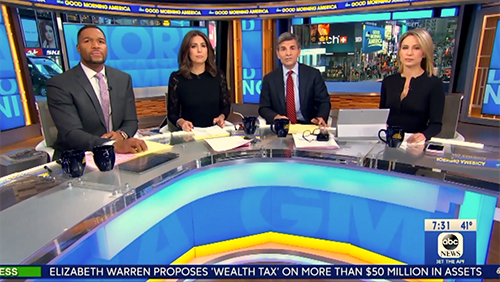 The exclusive report led the newscast, with the show's producer in New York congratulating Michael on his "AWESOME work last night... That was incredible, your work headlined the show this morning. Brilliant." 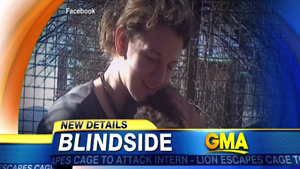 ABC News Good Morning America / "Lion Kills Woman"
EXCLUSIVE / Producer/Video Journalist Michael Harris secured and conducted the only interview on broadcast network news with the father and brother of 24 year-old Dianna Hanson, a Seattle-area wildlife biologist killed by a lion in a sanctuary near Fresno, California. Michael was the first to learn that the woman wasn't "mauled by a lion," as other news outlets were reporting, but in fact was just a victim of a freak accident. The lion had somehow let itself out of its enclosure, went into another where Dianna was working, caught her off-guard, and probably starving for attention and just wanting to play, accidentally snapped the woman's neck and killed her instantly. As a longtime Wildlife Specialist with an understanding of the dangers of social, confined mega-fauna, Michael pursued an angle that no other journalist thought to explore. 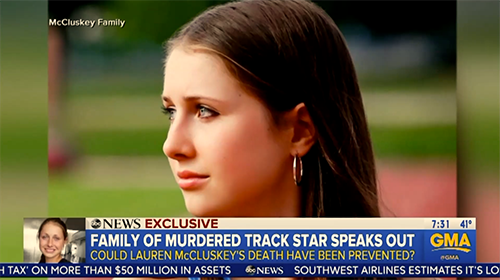 And he allowed the family to share the message that they felt Dianna would've wanted to convey -- don't blame the lion. And don't be afraid to follow your dreams, as she did. 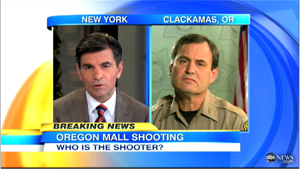 ABC News Good Morning America / "Shopping Mall Shooting Near Portland, OR"
BREAKING NEWS / For this dramatic report on ABC News Good Morning America, Producer/Video Journalist Michael Harris was asked to rush from Seattle to Clackamas, Oregon, south of Portland, to join a large West Coast Bureau contingent covering a mass shooting in a shopping mall full of Christmas shoppers. A masked 22-year-old had just killed two and critically injured another before turning the gun on himself. 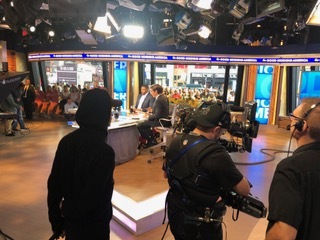 Over 10,000 shoppers had to be evacuated and at times rescued from the terror by true heroes, including a young Macy's employee whom Michael booked and brought to the GMA set for an exclusive live interview, reuniting him with the first customer he saved from the mall. 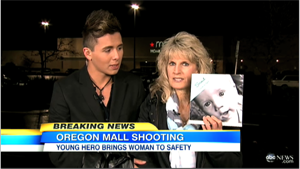 It was a beautiful moment in an otherwise horrific day, one in which Michael also talked to a husband whose wife just hours before had a rifle pointed in her face, only to have the weapon jam, saving her life. 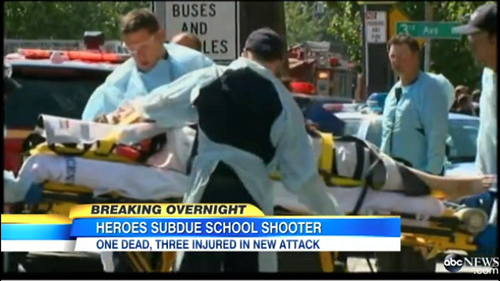 Of course, just days after this tragedy in Oregon, the country lost 26 people, including 20 children, in the Sandy Hook Elementary massacre in Newtown, Connecticut. 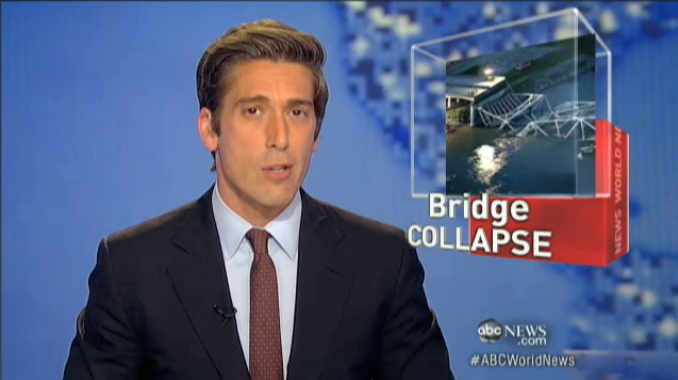 ABC News World News With Diane Sawyer / "Buy American Ban?" 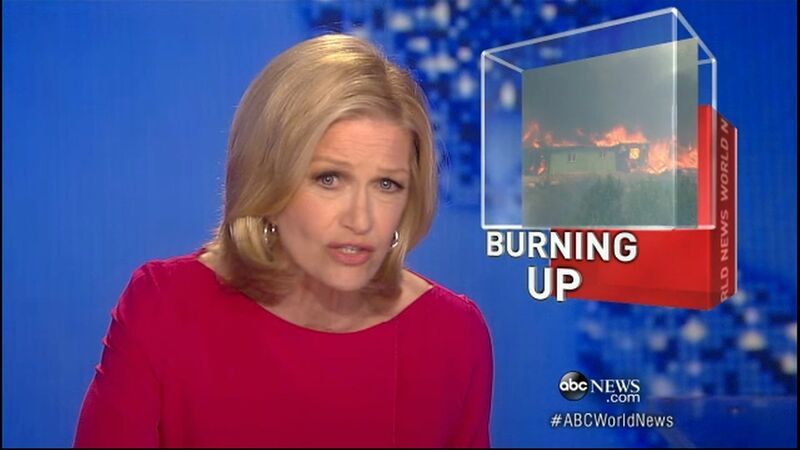 GENERAL ASSIGNMENT / This report on ABC World News With Diane Sawyer last Christmas was one of those rare, quiet victories for journalism. Michael Harris was assigned to help produce and shoot a "skirmish on the Buy American front," a story about the City of Seattle's transit system rejecting a group's efforts to place "Buy American" ads on its buses, claiming they violated its policy against running political statements. As Michael and the ABC team were preparing the report for that evening, making numerous calls to the City requesting interviews, the transit system started squirming. 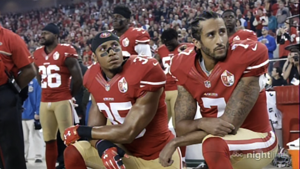 By the end of that day, they reversed their decision, saying, "Upon further evaluation... the ad does not express an opinion about a public issue but rather is a promotion of a sale of goods. Therefore, we will allow it to run." Michael shot this entire piece, start to finish, including capturing a wonderful moment with a young Christmas shopper dressed in a Santa outfit watching a holiday toy train through a department store window... and no doubt getting ready to go inside with her parents to buy something American. 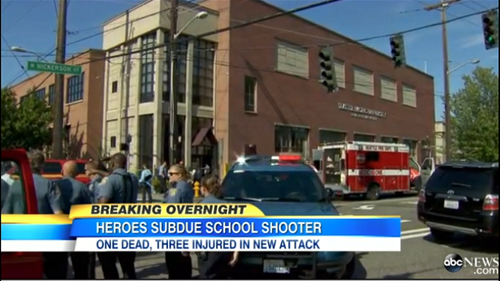 ABC News Good Morning America / "Four Officers Gunned Down" BREAKING NEWS / The following is a live report from the scene of a horrendous crime near Tacoma, Washington, where four police officers were gunned down in cold blood while in a coffee shop. 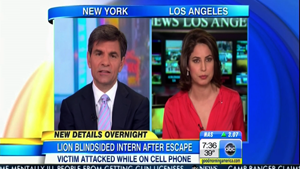 The gunman was still in the immediate area on the loose while Michael, correspondent Neal Karlinsky and the other ABC News producers were doing their live shot for Good Morning America. The crew had to be protected by a contingent of officers, guns drawn, while search helicopters hovered overhead. Baby Wild Films and its partners are always bringing exciting new projects into the world, covering a wide variety of subject matter. And like the arrival of any baby, some go smoothly; some don't. Some births happen quickly; others not-so-much. 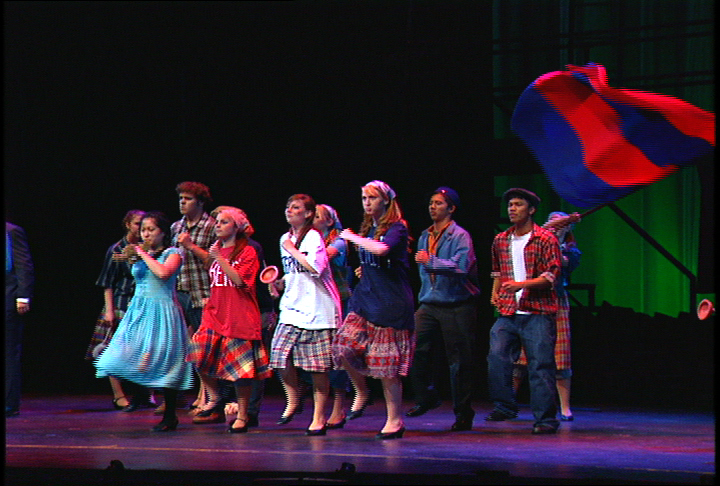 But no matter the throes of labor, presenting these creations to audiences is a wonderful thing. Over the last 25 years, we've been fortunate enough to team up with production companies, corporate partners and global celebrities on a number of television and web vehicles, seeing it literally go from idea to funding to execution to broadcast. Many shows are still on air today. 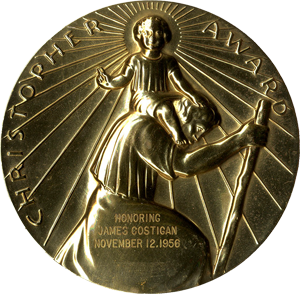 Some have gone on to win Emmy Awards and a number of industry honors. Several are launched as "preview" specials or documentaries, with hopes of becoming series. And some concepts continue to evolve and seek homes. But as every one of our partners will attest, regardless of the ultimate success of each endeavor, the making of these sizzle reels, pilots, previews and web shorts are always an extraordinarily fulfilling experience. TV is a tough nut to crack. We make sure that we keep our eyes on the prize, but our hearts in the journey. If you'd like to get involved in some of the projects below, give us a shout! We'd love to hear from you. SERIES CURRENTLY IN DEVELOPMENT in partnership with Custom Productions Inc. This ain't your Daddy's Benihana, baby... This is in-your-face, Japanese-style flat iron teppanyaki cooking – people so close to the action they could lose a finger. Totally interactive, absolute theatre, awesome food. This is where beef, shrimp and noodles become dangerous flying objects, and dinner becomes chef-on-chef violence. Put your protective glasses on, folks – this is TEPPANYAKI TAKEDOWN. Seattle-based Mike Monzon, known in the industry as “Tattoo Mike,” is perhaps the top teppanyaki master in North America. A former tattoo artist, this half-Asian/half-American self-taught chef has made a name for himself with a style all his own. Besides his remarkably creative choice of ingredients and presentation, Mike’s mesmerizing to watch. He’s considered one of the world’s fastest masters at slinging blades, and coming up with new tricks to delight his audience. And he’s developed quite a devoted following. Tattoo Mike challenges the top teppanyaki masters from around the world, brandishing his unique Wu Tang style of flat-iron cooking against both old school and contemporary chefs. Sometimes Mike wins; other times he’s taken down. A panel of judges will preside over the competition, sometimes complemented by the metered response of those watching (and eating) in the restaurant, as well as the “likes,” Tweets and votes of those participating via social media. Performances will be judged on the style of each master as well as the final product. Whether you're a fan of the flat-iron or a Master Chef who wants to sling your blades with the best, let us hear from you! Give us a shout if you want to be a part of TEPPANYAKI TAKEDOWN. Produced, written, edited and photographed by Michael Harris, Baby Wild Films. Hosted and narrated by Tattoo Mike Monzon. Series created by Michael Harris and Segi Vandandorj. 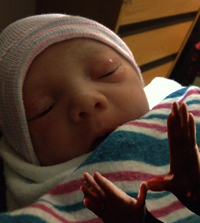 Congrats to Tattoo Mike and his wife Lindsey on the birth of baby Ezra! Dec 19th, 2013. This documentary series project sent Michael Harris to the jungles of Cambodia, to investigate a proposed multinational titanium mine slated for one of the last remaining stands of tropical forest in Southeast Asia – a project that many feared not only would accelerate climate change but could wipe out some of the most endangered wildlife in the world. Michael traveled to the village of Chi Phat, the nearest settlement to the proposed mining site, which also was a major base camp and killing field for the Khmer Rouge. The first web previews of CLIMATE WARS / CAMBODIA played an important part of the successful international campaign to persuade the Prime Minister of Cambodia to reverse a previous decision and deny permission for the mine. Baby Wild Films partnered on the pilot of an international "wildlife/travel/reality" series called NATURE OF THE BEAST, co-produced and hosted by 6'4" 350-pound champion fighter and actor ("Elektra," "Longest Yard," "Big Stan," "Conan the Barbarian") Bob "The Beast" Sapp. This special was originally produced for Japanese television, but the project is currently being re-worked and pitched to a major U.S. cable network. This short documentary (and demo for a long-format series) visits with small farmers in Yakima County, Washington, as they fight concentrated animal feeding operations, or CAFOs, and the loosely regulated mega-dairies fouling the air and water of their community. 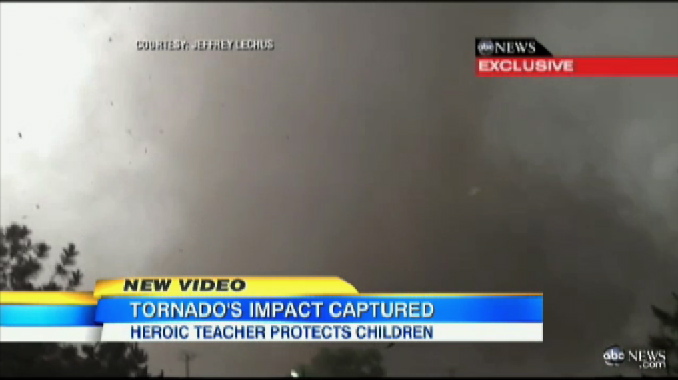 The webcast preview short was an Emmy Award-winner for "Outstanding Advanced Media." We're still tracking the CAFO cause closely, and Baby Wild Films still has high hopes of turning this unique, often-quirky perspective on factory farms into a television series -- but as you might imagine, Big Ag stink and greed and manure mountains are a tough sell to networks... even with all the sh*t they already have on air. Give us a shout if you want to help. 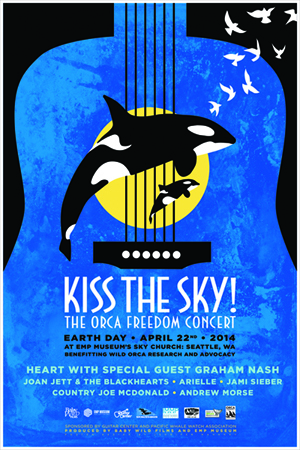 Reports on whale and wildlife news, features and sightings in the Pacific Northwest, appearing on radio, TV, internet and other platforms, produced, written and narrated by ABC News Wildlife Specialist Michael Harris. "The Whale Report With Michael Harris” are weekly one-minute branded spots heard on KOMO 1000 Newsradio, Star 101.5 FM and other Sinclair Group properties during the whale watch season. 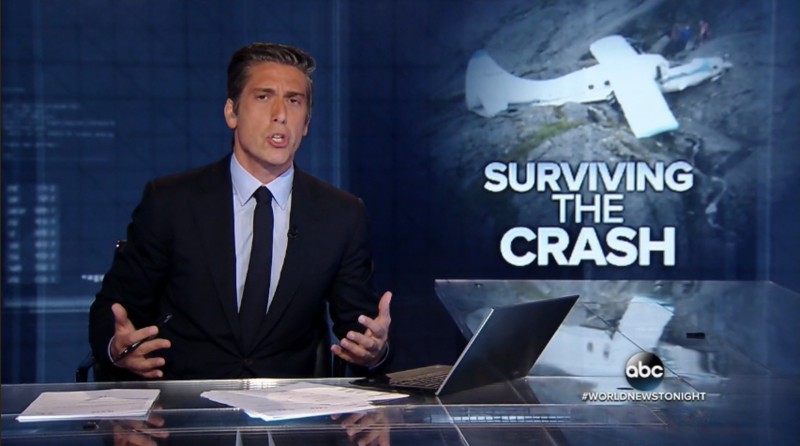 Fifty-five “Whale Reports” have aired since June 2015. ABC News, Yahoo! 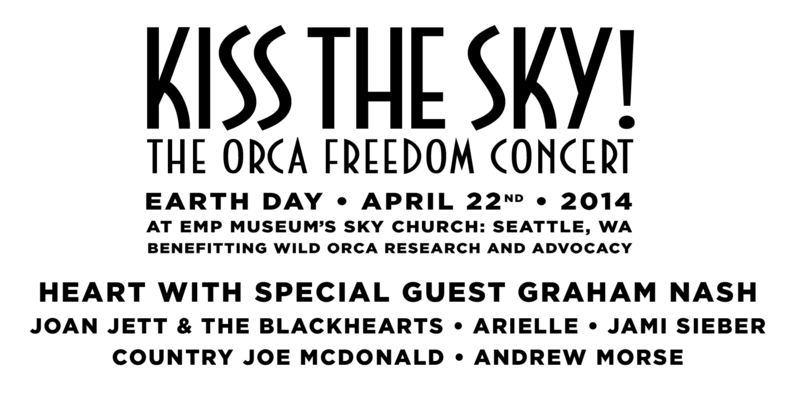 Digital Media Bureau, MTV/VH1 and other network clients. 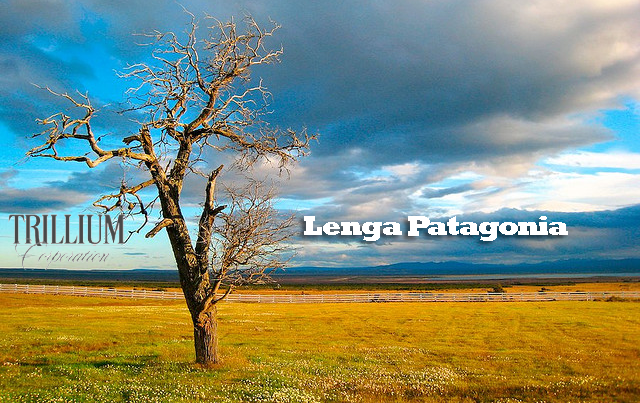 Emmy Award-winning documentaries, specials and web features seen around the world. 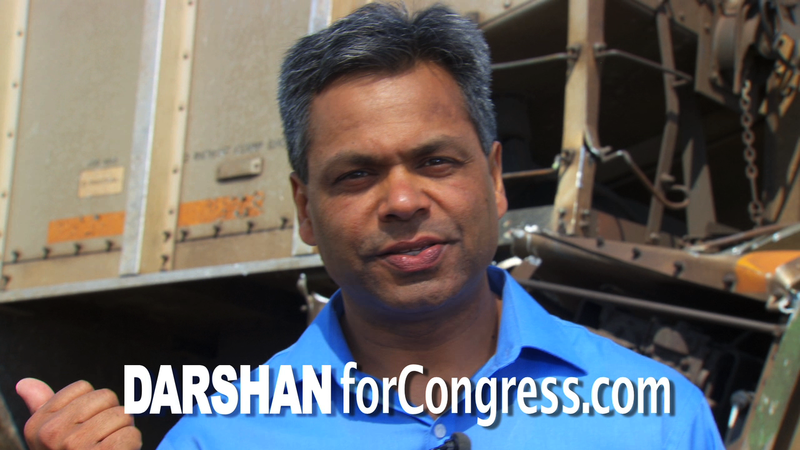 Eye-catching, Emmy Award-winning broadcast ads, political spots, promos and public service announcements. 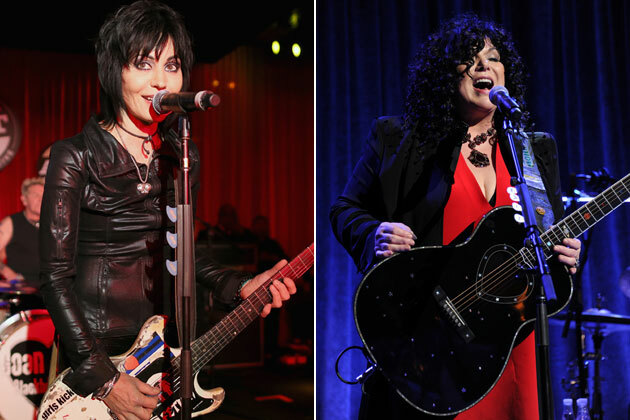 The best of Baby Wild Films live events shoots, from Broadway-bound musicals to Monday Night Football. Selected on-air work from Michael Harris, edited and live television, network science and wildlife analyses, and as on-cam spokesperson for a number of clients and causes. Promote your author and book with powerful (and affordable) social media-friendly Book Trailers. Enduring, stop-in-your-tracks museum exhibits for such clients as Paul Allen's Experience Music Project and Flying Heritage Collection, and The Seattle Aquarium. 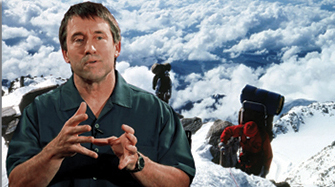 For over 25 years Michael Harris and Baby Wild Films have been creating compelling, cost-efficient, broadcast-quality content for corporations large and small.